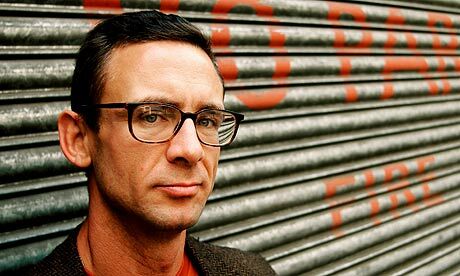 I don’t know if I can think of a more polarizing author of the modern day than Chuck Palahniuk. You can do a simple internet search and find people who love his work and others that hate his writing with a passion. And I hate to admit this but I think there a quite a few people that don’t understand the way he writes. I can honestly say there are some books that are just hard to read because the way he has constructed them but I’ve learned that there generally seems to be a reason for that. I almost feel as if Palahniuk likes to experiment on his readers and I think this form of exploration with his writing is what turns a lot of folks off instantaneously. I think it is amusing that he seems to stick his middle finger up to the usual way a book is constructed. How odd to find a rebel in a place where a lot of people wouldn’t think you could have one. It’s interesting to me that I don’t always love his books and yet he always hooks me with saying something that resonates with my whole being. How does he do that? I find it incredibly refreshing that Palahniuk doesn’t seem to take himself seriously. He admits to so much through his writing. I don’t know if a lot of his quotes are just well crafted words but if I were to take them at face value, I can do nothing but say he speaks truthiness. You can read more of his quotes at Brainy Quote. By now, you’re probably wondering what Palahniuk has to do with Halloween? I’m getting around to that bit right now, so despair no longer. I think many people know that Chuck Palahniuk is the man behind the novel Fight Club, but I want to bring one of my favorite anthology-like books to light, Haunted. It’s a collection of horrifying poems and short stories that will make you feel uncomfortable. The way the book is pieced together it seems pretty experimental and yet somehow deliberate. I honestly think Palahniuk doesn’t care if you like or dislike his writing; I believe he feels that if he can evoke any type of emotion from his readers then he’s done his job and that is frustrating for what seems like a lot of people. And after I read that, he had a new customer. If you like reading horror and want to try something off color and sometimes very disturbing for this Halloween season, I recommend Haunted. The only thing I ask is to not hate me for suggesting the book. No seriously, don’t hate me. And remember, it’s just a book.